Meet Lucy Gomez, our super efficient and friendly Clinic Manager. She has 7 Year’s of experience in various roles in the Optometry field, with one year of experience in the Ophthalmology/Retina field. 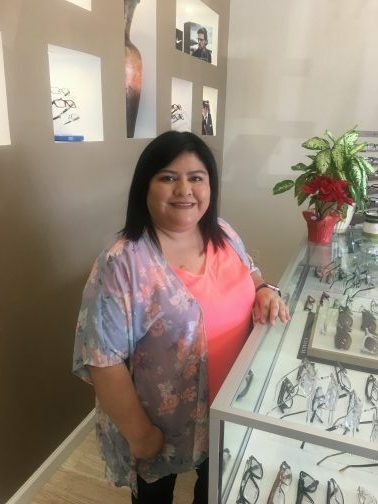 She is very knowledgeable and keeps up to date with the latest technology and quality to find the best lenses for your glasses. Currently signed up to attend school, to become a Certified Optician.